Are you stupid, dumb, an idiot or even a moron? 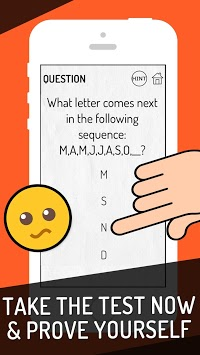 Complete the Dumb Quiz! 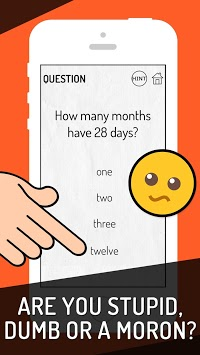 app to show to you and your friends that you are not completely dumb! 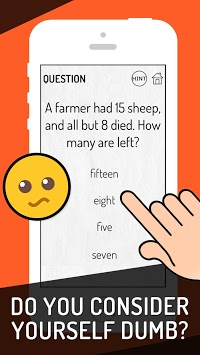 You will require common sense, advanced arithmetic and problem solving skills to complete this difficult 600+ question quiz!